A while ago, I told you about the Great Barrier Reef. Today I thought I’d tell you about some of the islands that surround Australia’s natural wonder. The Whitesunday Islands are a cluster of islands off the coast of central Queensland. The traditional owners of the islands are the Ngara and Gia people. Both these indigenous groups speak a language called Birri Gubba and have lived on the island for over 9000 years. The Ngaro people are also known as the “Canoe People.” Their sea-faring cultures allowed them to travel freely between the Australian mainland and 90 islands in the archipelago. Today, the Whitesunday Islands are a popular destination for people sea-faring folk who love to camp. There are many ways to explore the islands and lots to see! A great place to start is the Ngaro Sea Trail Great Walk. This isn’t your usual park! It is made up of a combination of ocean routes and short walks across South Molle, Hook and Whitsunday islands. You don’t need a yacht to travel this trail! It’s perfect for kayaking, sailing or powerboating. There are eight campsites on three different islands, but be sure to book ahead to reserve your place! 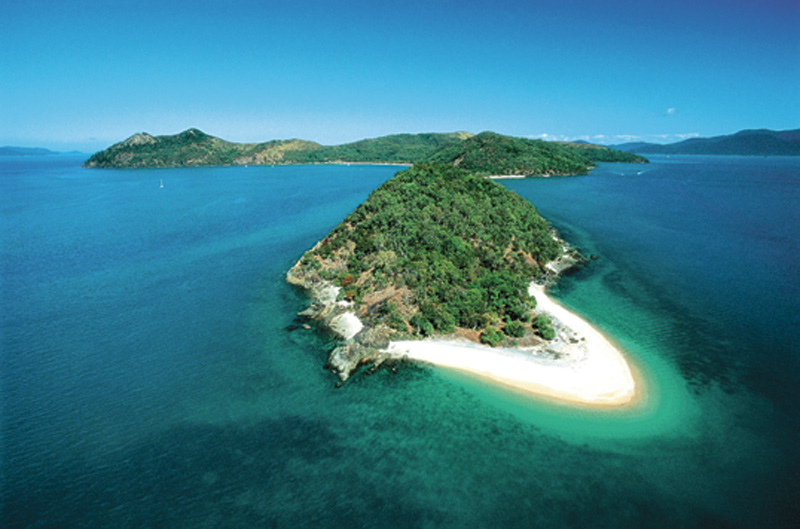 Or why not try out the Whitsunday Islands National Park? You won’t want to miss the famous white sand and crystal clear water of Whitehaven Beach, or the fabulous snorkeling in Hayman Island’s Blue Pearl Bay! There are 11 campsites, each with their own beautiful feature. Dugong Beach backs on the rainforest, Joe’s Beach has beautiful views of the neighbouring Cid and Molle Islands, while Maureen’s Cove is a great spot to launch for snorkeling. The Queensland Government has a great website that lists all the available facilities, with detailed information about each location. Visit their Whitesunday Islands website to learn more about the fabulous tropical adventure that’s waiting for you down under!